The idea for our snacks began with the desire to craft on the go protein snacks with NUTRITIONAL VALUE - snacks that support health & wellness because they are delicious & nutritious naturally. Founder Sue Kramlich, building on experience at the family owned business (Silver Creek Specialty Meats est. 1989 by in-laws extraordinaire William & Dorothy Kramlich) developed protein snacks that offered an ALTERNATIVE to meat snacks made from poor quality protein & artificial, nutrient lacking ingredients. 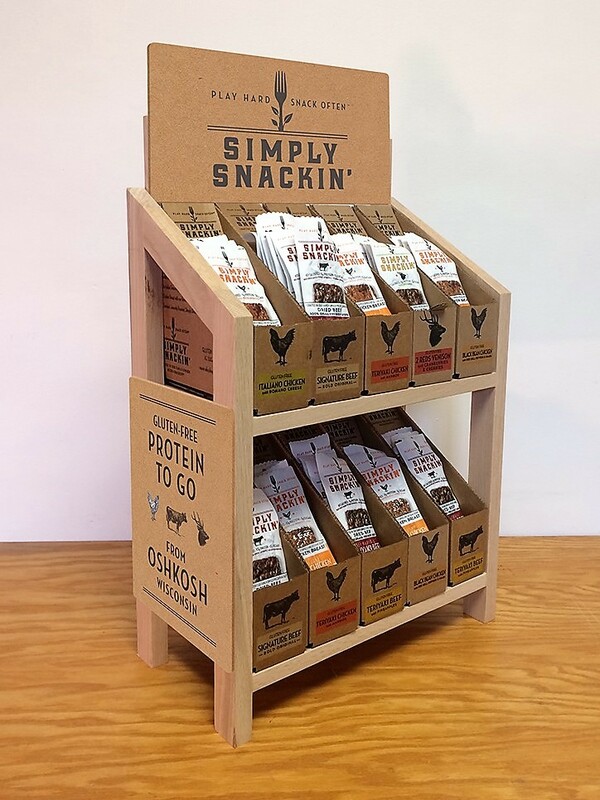 The Simply Snackin’ product line was launched in 2010 and included 10 AMAZING snack flavors. With over 5 million snacks sold Simply Snackin’ continues to be “Crafted In Our Family-Owned Micro-Snackery” located in Oshkosh, Wisconsin where daughter Katy, President of Operations lends her expertise & energy to ensure our snacks continue to meet our quality standards & exceed your expectations! With Wisconsin’s supportive small business environment and the ever growing interest in snack products that support health you can find Simply Snackin’ in our home state at valued retail partners like Woodman’s Markets (natural/organic aisles where Simply Snackin’ was the first meat snack on the shelves), Festival Foods (Simply Snackin’ selected “Dietitian’s TOP Pick”), University of Wisconsin Hospitals (Simply Snackin’ found at the cafeteria grab & go counters), & numerous community co-ops & specialty small businesses statewide. And for speedy snack shipments direct to your home or place of work please SHOP our online store !